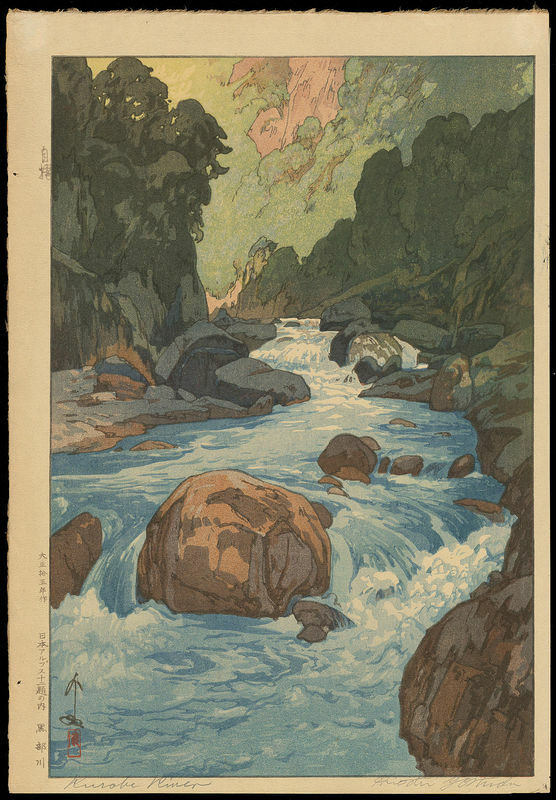 Yoshida, Hiroshi (1876-1950) "Kurobe River" - Woodblock - Chinese and Japanese woodblock prints for sale, silkscreen, scrolls, watercolor, lithographs. Artwork Details for Yoshida, Hiroshi (1876-1950) "Kurobe River"
Condition: Fine. 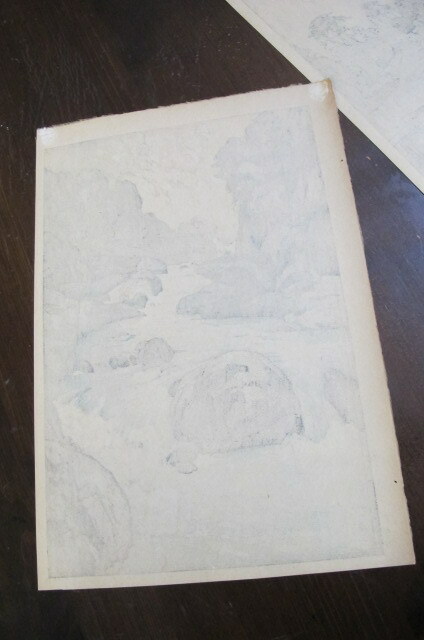 Light even age toning on the verso (the verso image below shows the verso too white). Remnants of original folder mount on verso. Notes: Early edition with the all-important jizuri (self printed) seal in the left margin and signed in pencil by Hiroshi himself in the bottom margin. Vivid, pristine colours. Brush signed and sealed by the artist.